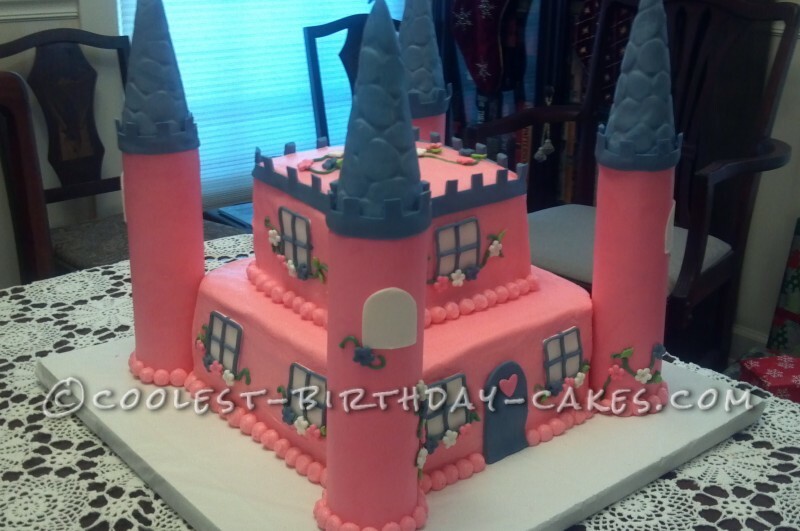 The towers of the princess castle cake are made from emply paper towel cardboard, covered in fondant. The top is made using an ice cream cone covered in fondant and using an impression mat for the cobblestone look. They were glued together using melted candy melts. I made the cake using 2 11 x 13 cakes cutting into one two layer 9 inch cake and a 5 inch that sat on top. The windows were the hardest part figuring out how to make the grids to look thin and even. 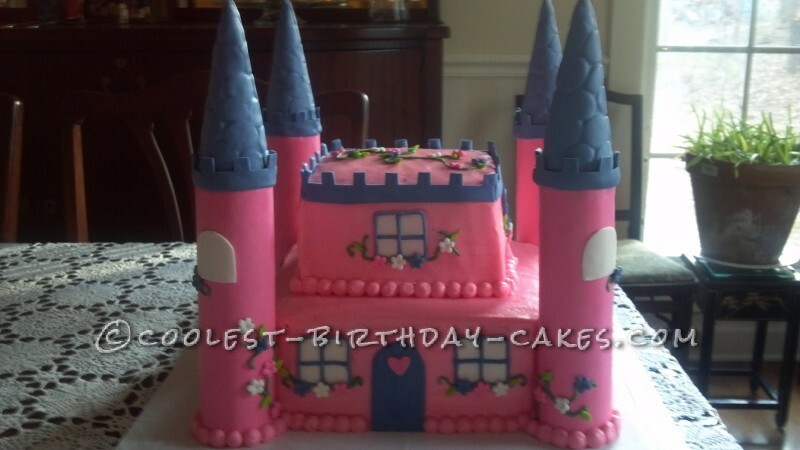 The scalloped edge was made from fondant and a cutter mold. The flowers were made from a mold from Wilton and fondant. The ivy was butter cream and a tip 2 or 3. The 4 year old birthday princess was thrilled and loved her whimsical cake.